The sun is shining and it’s gorgeous outside. It’s the perfect time to be outdoors and enjoy the warm air. Being careful about shielding your skin from the sun goes without saying. On the other hand, protecting your skin and lungs from harmful summer air deserves more attention. Here’s how to care for your skin when ozone levels rise. Ground level ozone is a significant public health issue, especially during summer months when ozone levels peak. In fact, scientists at MIT found that ground level ozone contributes to more deaths in the U.S. than car crashes. Adding insult to injury ozone not only causes premature strokes, heart attacks and lung problems. It also accelerates your skin’s aging process, increasing the appearance of lines, wrinkles, discoloration and sagging skin. Way up in the stratosphere, the ozone layer protects us by absorbing the sun’s harmful ultraviolet rays. That’s the good ozone. The problem is ground level ozone which forms when gases that come out of tailpipes and smokestacks come into contact and react with sunlight. Ozone pollution is a major concern in the summer months because hot temperatures and sunlight provide the perfect conditions to generate harmful ozone concentrations in the air. Anyone who spends time outdoors in the summer can be affected by ground level ozone, particularly children, seniors, outdoor workers and people exercising. Millions of Americans live in areas where the national ozone health standards are exceeded. Breathing ozone is really bad for you and it can trigger a variety of health problems including chest pain, coughing, and throat irritation. It can worsen bronchitis, emphysema, and asthma. Ozone can also reduce lung function and inflame the linings of the lungs. Repeated exposure to ozone can permanently scar lung tissue. 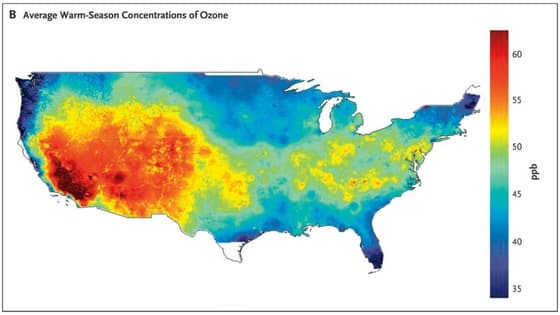 You might assume that ozone is just a problem for urban and suburban communities. But that would be incorrect. Many of the rural areas of the United States are also subjected to high ozone levels as winds carry emissions hundreds of miles away from their original sources. Like free radicals, ozone molecules have an odd number of electrons making them highly reactive. When they comes in contact with your skin, ozone molecules oxidize the fats (lipids) that bind skin cells together in the outer layer of skin causing inflammation and stripping away the protective barrier that helps to keep nutrients and moisture in and toxic compounds out of your skin. This damage activates a chain reaction of DNA-damaging events accelerating the appearance of the common signs of aging – wrinkles, lines and sagging skin. Ozone damage has also been associated with flare-ups in skin conditions like eczema, hives and contact dermatitis (aka rashes). Don’t worry, you won’t need to spend the entire summer indoors to steer clear of harmful levels of ozone. According to the EPA, most people only need to be concerned about exposure when ozone concentrations reach high levels. To be safe, you’ll need to stay informed about the air quality forecast in your area. Don’t take chances with ozone on days when air quality is poor. When the Air Quality Index (AQI) is forecast to be unhealthy, you should limit physical exertion outdoors. Ozone levels tend to peak in mid-afternoon to early evening. 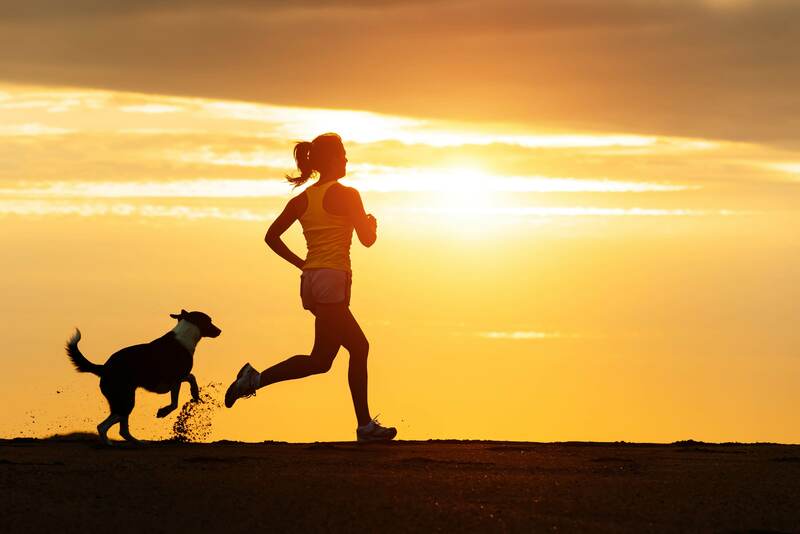 You may also want to move outdoor workouts to the morning hours to avoid peak ozone hours. For AQI forecasts, check your local media reports or visit: http://epa.gov/airnow. You should also know that your body naturally produces substances that can protect your cells from oxidative stress caused by ground level ozone. Antioxidants are molecules that can disarm oxidized and highly reactive molecules like ozone. Some vitamins are antioxidants, such as vitamins A, C and E. Some minerals are antioxidants, such as selenium and manganese, and there are also plant compounds that act as antioxidants such as beta carotene and lycopene. You can boost your natural antioxidant levels based on the foods you eat and the skin care products you use. Eating a diet rich in antioxidants can help increase blood antioxidant levels to fight oxidative stress. Foods such as blueberries, strawberries, green tea and kale have high levels of vitamins A, C and E which provide antioxidants to your body. The best way to get a variety of antioxidants in the diet is to eat foods that represent all the colors of the rainbow. Each color provides its own unique antioxidant effects. You should also use a variety of skincare products containing antioxidants to help protect your skin from the oxidizing effects of ozone and free radicals. We recommend beginning with our vitamin rich Nutrify Ozone Defense Serum. It’s infused with vitamins B3 and C which are potent antioxidants that help fight oxidative damage. Don’t forget to use a moisturizer that provides a protective layer of antioxidants. Our HydroFoam Rejuvenating Moisturizer features powerful antioxidants and hyaluronic acid to hydrate and replenish your skin. For your body, you’ll want to protect your skin with our nourishing BodyMist Vitamin E Oil which features sustainably sourced oils that are naturally rich in the powerful antioxidant Vitamin E.